The first of our three Atopic Art workshops kicked off on Saturday 7th February. 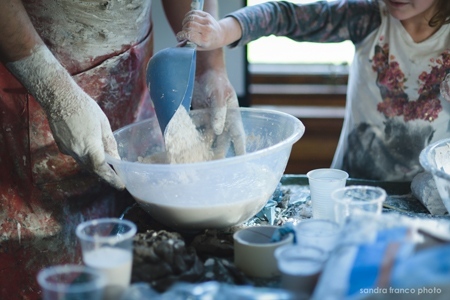 In collaboration with Dr Sara Brown and Eczema Outreach Scotland, children and families effected by Eczema joined together for a day of pillow painting and mould making. 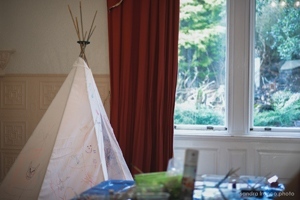 Workshops took place at Edinburgh Zoo, the perfect place for families to enjoy a day together. 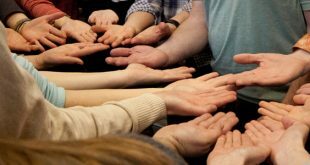 The project aims to promote eczema awareness and increase the self-esteem of young people affected by this condition through shared experience. The afternoon workshops were lead by artists Josie Vallely and Trevor Gordon. Click here for more information about the artists. 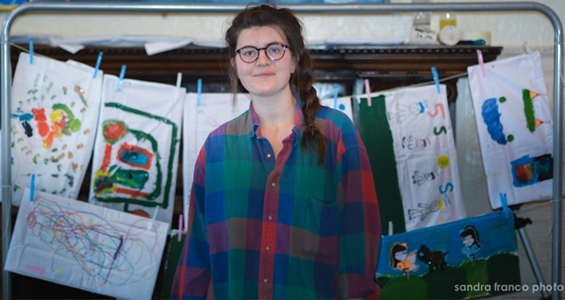 Josie Vallely, a Scottish Artist and Designer based her workshop on the concept of sleep disturbance, and the effects that this can have on children suffering from eczema. 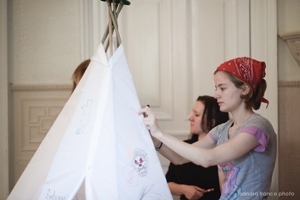 The children made ‘dream pillows’ by painting or drawing their dreams onto the fabric of a pillow and started decorating the ‘Dream den’ which will travel to each workshop location. Josie tells us “by using dreams as a way of discussing the real fears and hopes, children may feel more comfortable disclosing their experiences, as they know that dreams can be pretend”. 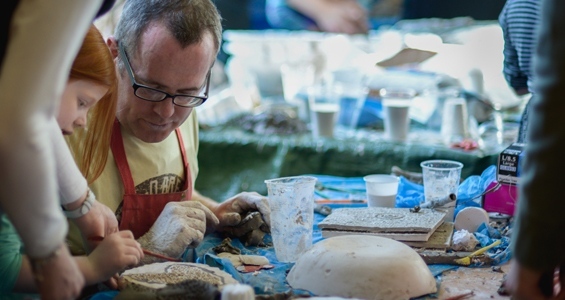 Trevor Gordon, who is a sculptor, themed his workshop around the tactile nature of clay and plaster. 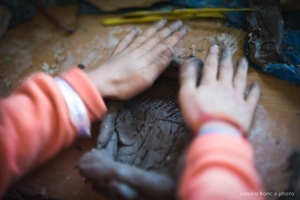 Children were able to make plaster casts of their hands and be playful modeling with the clay. Trevor tells us “I wanted to create a varied workshop where the key was fun with scope for a lot of messy creativity, where one minute they are hurling clay blobs at a wall while the next they are making exact copies of their hands down to the fingerprints”. The next workshop of Atopic Art: Expressions of Eczema, will take place at the Glasgow Science Centre on 28th March 2015. Check back here for more updates.